Germany is a delightful blend of the history, culture, and natural gems that characterise all of its regions. With a plethora of interesting metropolises and small towns, an abundance of ski resorts, and thousands of kilometres of pristine forests and woodland, Germany is the ideal choice for all types of tourists. Whether you choose the densely wooded Black Forest, the stunning Mosel Valley, or the towering Bavarian Alps, you will find plenty of interesting things to pursue. You should also consider visiting Berlin, the country’s capital, which is full of cultural venues, art galleries, museums, and sophisticated restaurants. All of the interesting places scattered around Germany will be within your reach with a hireal car. With DriveBoo, you can compare diffehire car hire offers and book your hireal car directly online. Hire a car and be completely flexible on your journey in Germany with your hireal car. Visit the capital Berlin with its many sights, Dresden and Leipzig with its impressive history, Munich with its cosy way of life and the not so cool north, in Hamburg. Walk along the beautiful coasts of the Baltic Sea and North Sea, hike in the Bavarian Forest or sail on Lake Constance. Thanks to the exemplary German motorway network, your hireal car will reach your destination within a very short period of time. 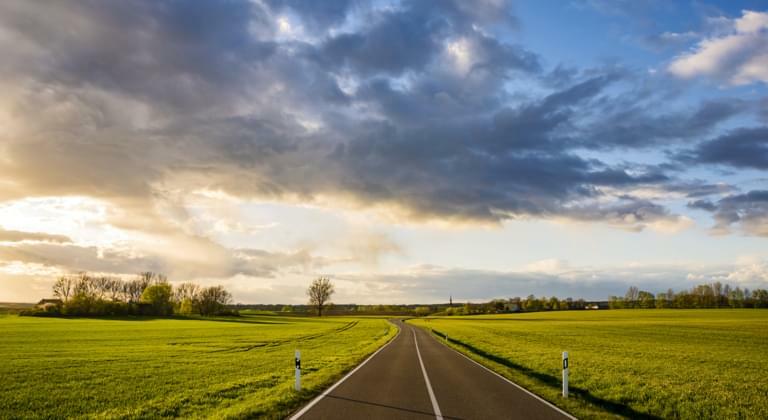 Due to the lack of speed limits on the German motorways, you will not only quickly reach your destination, but the journey itself will be a great pleasure. That's why Germany offers you a unique opportunity to see the most varied and fantastic places in Germany with your hireal car in the shortest possible time. We wish you a good journey! What are the major airports in Germany? All driver’s licences issued in the EU are accepted in Germany. While driving a hireal car around the country, you will need to have your driver’s licence with you at all times. What’s more, you will also have to carry proof of insurance, vehicle registration documents, and your passport. Drivers are also required to have a minimum of third party cover while driving in the country. Germany follows standard European traffic laws. The required pieces of car equipment that you have to carry at all times include a warning triangle and a reflective jacket. You have to indicate that you are leaving a roundabout, but do not have to indicate when joining one. European motorways start with the prefix “E” on signs, whereas federal roads will have the prefix “B”. In Germany, all traffic lights work in accordance with the Vienna Convention. It is forbidden to talk or text on a mobile phone while driving. Breaking this law will result in a ticket that can cost you as much as EUR 35. Both the driver and the passengers are required to wear seatbelts. Failing to wear a seatbelt will result in a fine of up to EUR 30. Are there any toll roads in Germany? The only places where you are required to pay tolls are the Herrem and Warnow Tunnels. What are the speed limits for cars in Germany? Germany offers a considerable variety of tourist attractions. Apart from its beautiful urban highlights, the country also offers plenty of space for outdoor activities. The diversity of interesting things to do will leave all tourists with a huge choice of pastimes. With a hireal car, you will have a unique opportunity to visit the most popular attractions, as well as discover many hidden German gems. 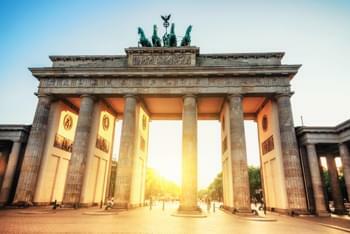 While in Berlin, it is worth paying a visit to the Brandenburg Gate. The gate was modelled on the Greek Acropolis. Erected in the second half of the 18th century, it was the city’s first neoclassical monument. At a stone’s throw from the gate, you will also find such highlights as the New Museum, the Bode Museum, the National Gallery, the Berlin Wall Memorial, and Unter den Linden—considered one of the most beautiful streets of Berlin. Those who would like to see more historical monuments and beautiful architecture should head to Cologne, where they will have the opportunity to visit such places as the Cathedral of St Peter and St Mary, the Treasury, the historic Old Town, or the Shrine of Three Kings. While sightseeing in Germany, you should not forget about Rügen, which is the largest Baltic island belonging to the country. The landscape here varies from flat farmlands to stunning sandy beaches and even dense forests. You can also pay a visit to the small resort town of Putbus, which will offer you tranquillity, as well as a variety of lively restaurants serving regional specialties.